On a curve of land in Central America is a tiny hidden gem. Home to one of the most famous man-made structures in the world, Panama is a country of dramatic connections — east and west seas, north and south continents, age-old traditions and modern living. Through the unique City as Text course, Honors students saw these connections first-hand as they made their way through this diverse and resourceful country. The Honors Travel experience is a unique opportunity for Honors students to immerse themselves in a foreign country. Through pre-trip classes, students were able to gain a solid academic foundation for the trip they were going to take, giving them the opportunity to learn important background information prior to departure. Students were then able to take this foundational knowledge and apply it as they traveled around the country, a model the Honors Program utilizes called “deep learning”. “It was insightful to learn from the environment around us and make connections to the academic material we referenced in class,” said sophomore Marisa Marseille. Panama is a country where ancient and modern exist side-by-side in harmony. Modern skyscrapers in Panama City tower alongside buildings from two centuries ago. The juxtaposition does not feel out of place and is embraced by the citizens. Honors students Beth Meiers and Dakota Behrends pose in front of the Panama City skyline. This blending of the old and new can appear in unexpected places. The students visited the San Blas Islands, a popular ecotourism spot and a picturesque place to relax and enjoy the tropical sunshine while learning about the sustainability of the region. 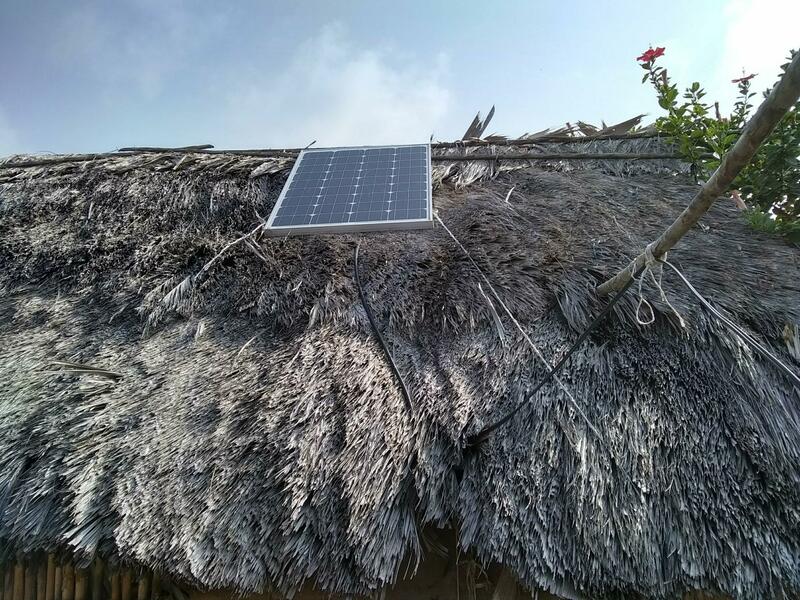 Scattered among the beaches and huts with thatched roofs was a surprising sight: solar panels. 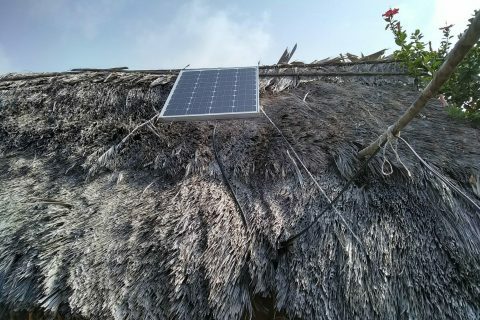 A solar panel is visible on an island home. 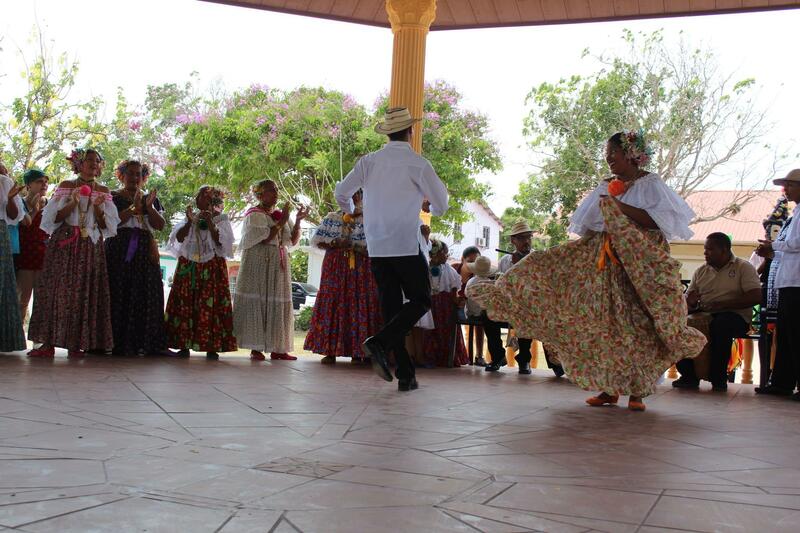 Panamanian culture is a rich blend of Spanish, African, and indigenous influences. 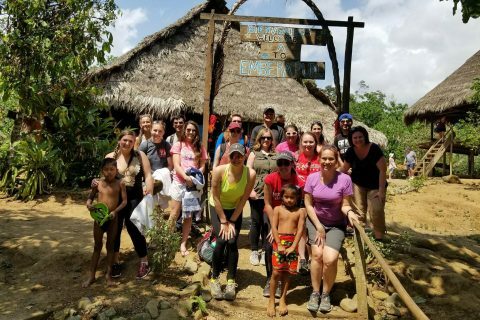 Students learned about the traditions of the Panamanian people through guided tours that offered hands-on experiences, and the chance to actually touch and see history. A couple dances a traditional dance. Interacting with such a diverse population of people was a pleasant surprise for freshman Alex Plumadore. The students spent time visiting local villages and visited with school children for an afternoon. “We saw so many different ethnic groups, from the indigenous tribes we met to the guides and locals we interacted with, and in such a small area. It was nice to see how well the different ethnic groups coexisted,” said Plumadore. Students also took excursions into the surrounding rainforest, one of Panama’s most important natural resources. 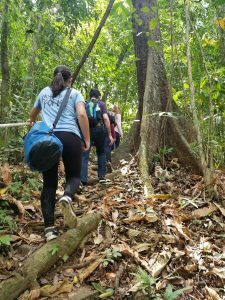 Students hike through the rainforest. The opportunity to have such a broad range of experiences is what makes the difference between a good trip and a great trip. 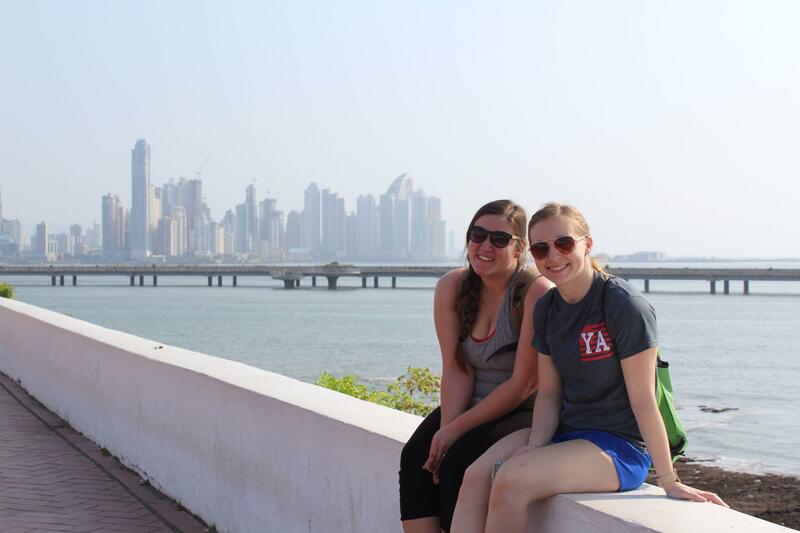 Whether it was through hiking or dancing, swimming or eating, the country of Panama and all of its wonders made an impression on all of the Honors students. “It’s one thing to read about Panama, but being able to dance and fully immerse ourselves in the culture gifted me with an open mind, and a better appreciation for how beautiful it is that our world is made up of so many different cultures,” Young said. “One of the most memorable things I learned on this trip was that the rest of the world has an amazing story to tell,” Keene said. Learn more about Honors Travel opportunities, including the program’s upcoming trip to Cuba. 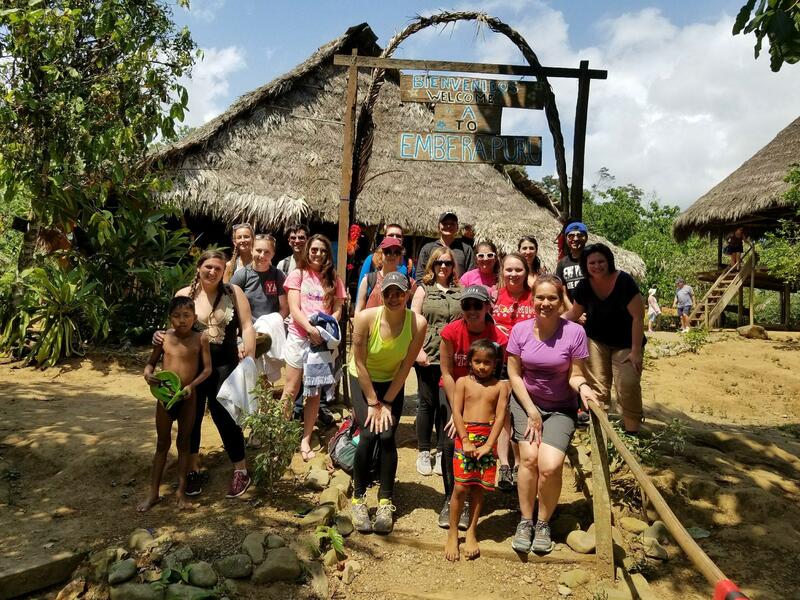 The Honors City as Text participants and Honors Program Director Dr. Rocío Rivadeneyra visit Embera Village.